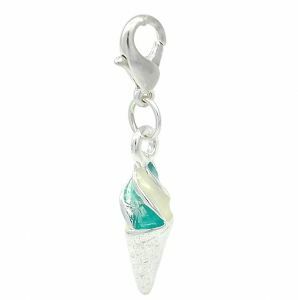 Enjoy sweet memories long after the ice cream melts with this cute soft serve ice cream cone charm from Stylish Jewellery. 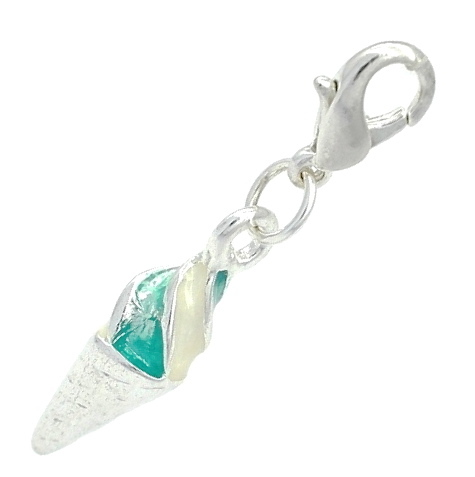 Luscious enamel "ice cream" with silver-tone cone sets it off perfectly. Simply clip onto your favorite charm bracelet, necklace or on the charm collector. 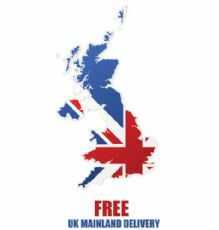 Design a theme piece or just treasured moments. Making gift giving a breeze!